Enduring insights for living in simplicity, joy, and spiritual depth. Discuss the life of St. Francis of Assisi. Identify the difference between the true self and the false self. Explain the non-dual aspects of Jesus's teaching. We often think of saints as rare individuals whose gifts far exceed our own, and the beloved St. Francis is no exception. But for Fr. 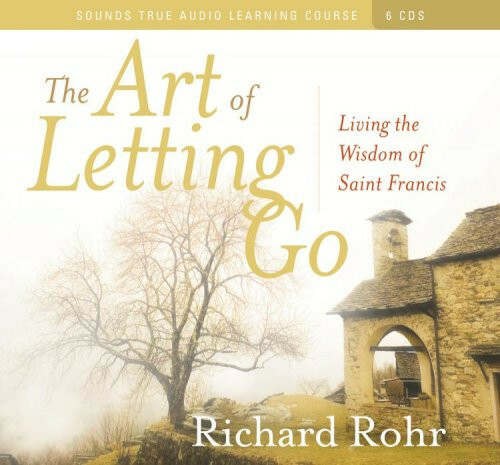 Richard Rohr, a prolific author and renowned speaker, the life and teachings of this beloved figure offer an authentic spirituality we can all embody. On The Art of Letting Go, Fr. Rohr gives us a six-session learning course that explores: the surprising richness we discover through simplifying our lives (without taking a vow of poverty); liberation from our self-limiting biases and certitudes; contemplation and action, two key steps toward communing more deeply with the Divine; and more.